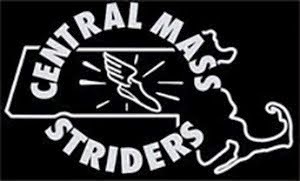 October 25, 2011 – Worcester, MA – The Central Mass Striders (CMS) based out of Worcester, MA is looking to defend their New England Championship title on October 30, 2011. The CMS men’s racing team is proudly sponsored by Native Eyewear and Scott USA Inc. Falmouth, MA and the Cape Cod Marathon is host of the New England Marathon Championship for the 21st time in the last 25 years. The CMS team has won the last two New England Marathon Championship events (2009 and 2010) which were hosted by the Bay State Marathon in Lowell, MA. The team is returning two of their top three scoring members from the winning team last year in Jim Johnson (Salem, NH) and Scott Leslie (Rutland, MA). Furthermore, the masters team (40+) is also returning two of their top three scorers with George Adams (Gilsum, NH) and Dan Verrington (Bradford, MA). 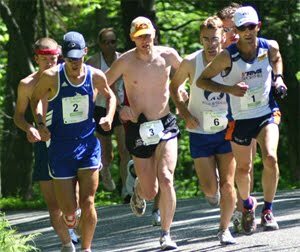 More information can be found regarding the Cape Cod Marathon here. Patrick Rich, Hamilton, MA – plenty of history at the Cape Cod Marathon with his PR set with a 2:31:06 in 2006. A year earlier he ran 2:38:15. The winner of the Cape Ann 25K in September and his last marathon was a 2:33:02 clocking at the 2007 Boston Marathon, Patrick is ready to revisit the marathon distance. Dan Verrington, Bradford, MA – owns a PR of 2:21:10 Vermont City Marathon 1996. Dan ran a 2:33:59 at the Cape Cod Marathon in 1994. Dan should be a front runner in the masters category. Scott McGrath, Andover, MA – Scott will be making his Marathon debut after a strong summer of training which included a 7th place finish in the Nahant 30K. 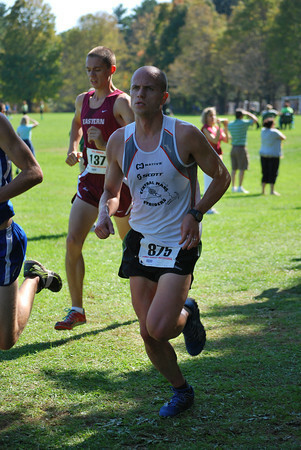 Greg Hammett, Chesterfield, NH – Greg set a PR of 2:34:31 at the Bay State Marathon in 2010. He had a strong 4th place result at the competitive Pisgah Mountain 50K Trail Championships last month. This will be Greg’s first visit to the Cape Cod Marathon. Scott Leslie, Rutland, MA – Scott continues to improve on the marathon distance. He set a PR of 2:28:13 at Bay State Marathon in 2010. Scott ran his first marathon at the Cape Cod Marathon, 2:44:05, in 2006. Jim Johnson, Salem, NH – improved on his 2:30:00 set at the 2010 Boston Marathon with a personal best of 2:27:33 at the Bay State Marathon. A 2nd place finish at the Pisgah Mountain 50K indicates that Jim will continue his strong year on the roads at the Cape Cod Marathon. 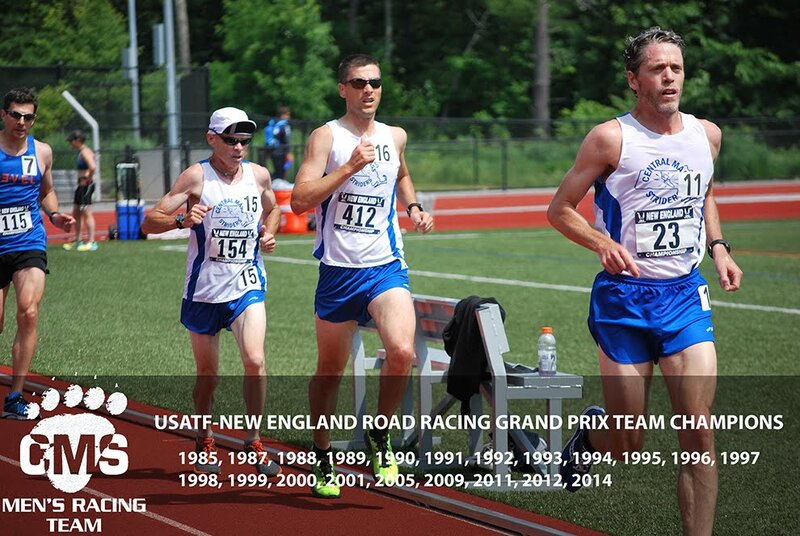 George Adams, Gilsum, NH – George ran a masters (40+) PR of 2:37:20 at the Bay State Marathon last fall. His PR is 2:31:25 with a win at the Clarence DeMar Marathon in 1996. George ran 2:44:22 in his last visit to the CCM (2001). George should better that time fifteen years later. Sam Wood, Laconia, NH – the Cape Cod Marathon will be Sam’s debut at the distance. Winner of the 2008 Big Lake Half Marathon, 1:13:27, has had a solid summer of training ready to pay off. Center Park - Fairport, N.Y.